I recently became my father. Not in a biological/literal sense of course, but in a specific mannerism. My children aged 4-14 have recently struggled to finish the job they started. They pull everything out to “organize”, but then only put about 1/2 of it back. 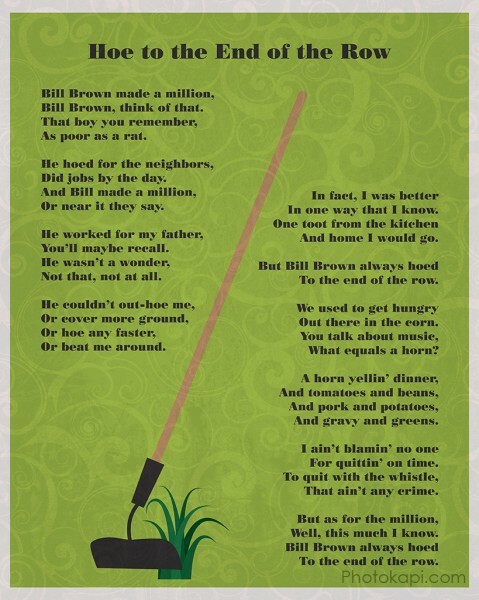 This reminded me specifically of a poem my dad used to tell us as kids. I decided to make a poster of it for our home, and would like to share it. Where did you find that? I was thinking of it just the other day as I considered how to instill a strong work ethic in my kids. 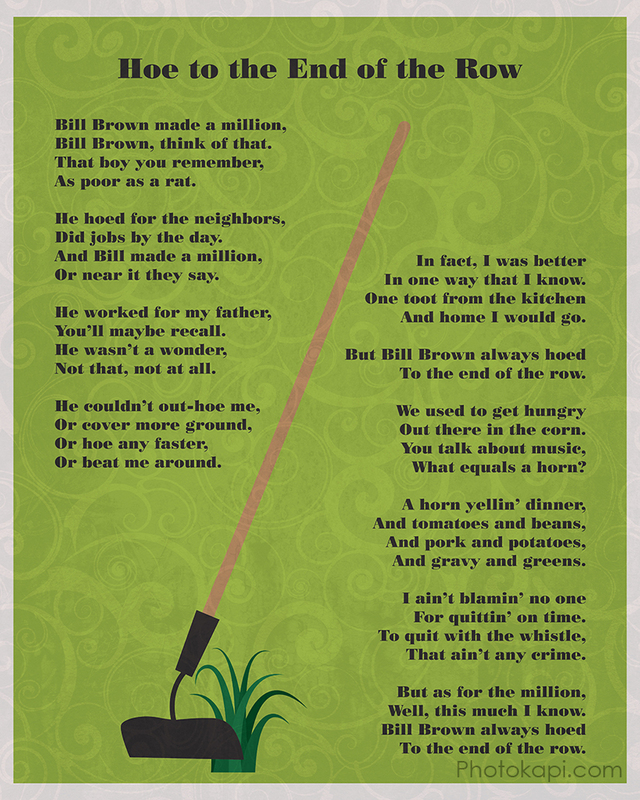 I only remember “Bill Brown made a million” and “Bill Brown always hoed to the end of the row”. I thought it was John Brown not Bill Brown, and did a web search — got a bunch of results of the guy at Harper’s Ferry who tried to blow up the confederate armory. Then I did a “hoe to the end of the row” search and found it.